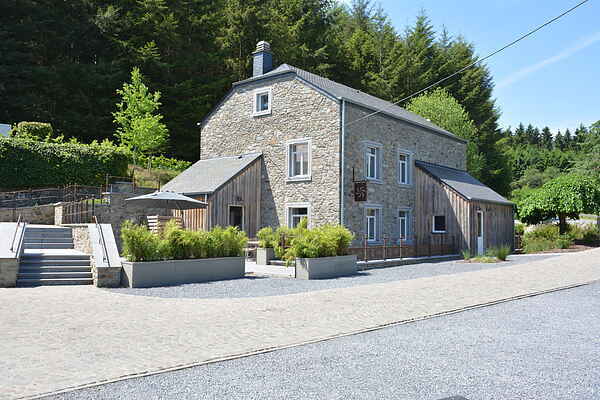 At the end of a small village, at the edge of a large forest, an authentic house from 1729 has been carefully renovated in 2016 to accommodate you in comfort. Each room has its own bathroom. All beds, high-quality, are made upon arrival, towels and wood for the fireplace are available to you (and in the price included). The kitchen is especially fully equipped. The charm is also provided by the decoration and beautiful antique furniture. A beautiful terrace allows you to enjoy a good barbecue in the sun, and another small terrace allows you to relax in the shadows. You just have a few meters to go to receive your delicious breads, made in the traditional way on site, yet in a working mill. The area is beautiful and offers many opportunities for walking and cycling.